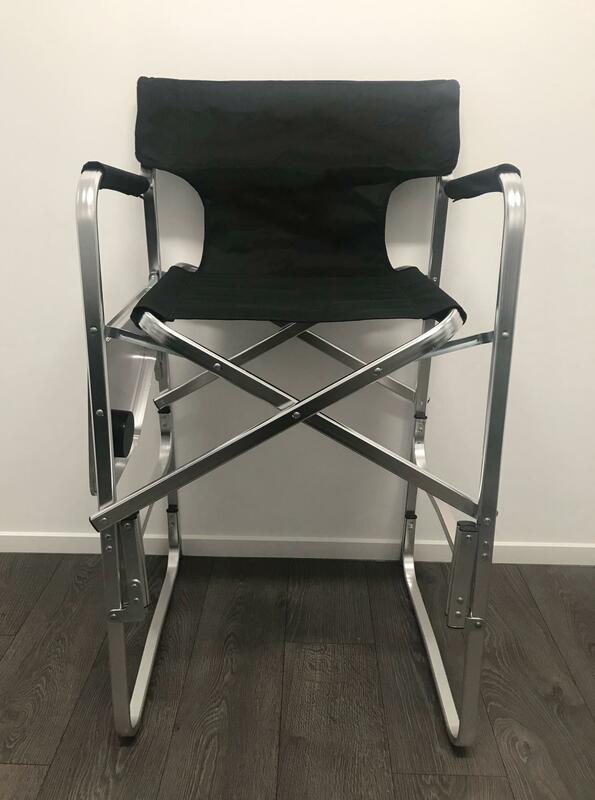 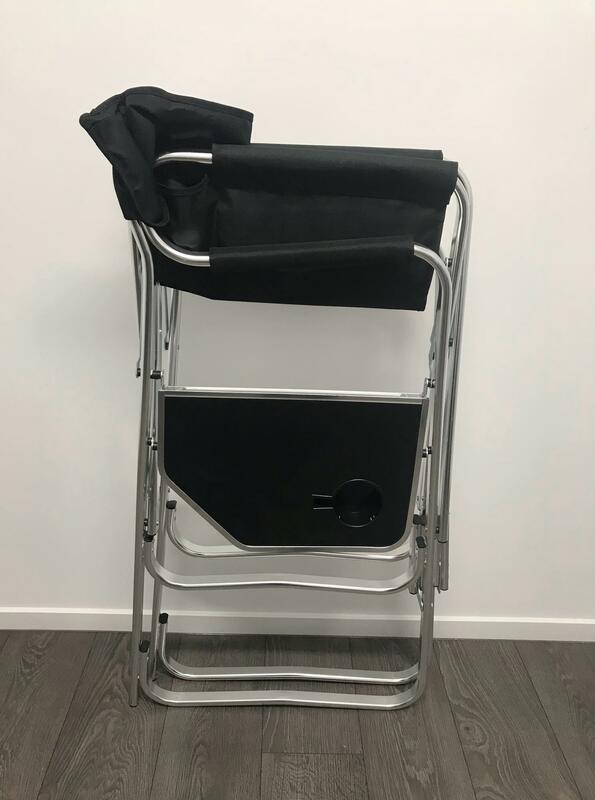 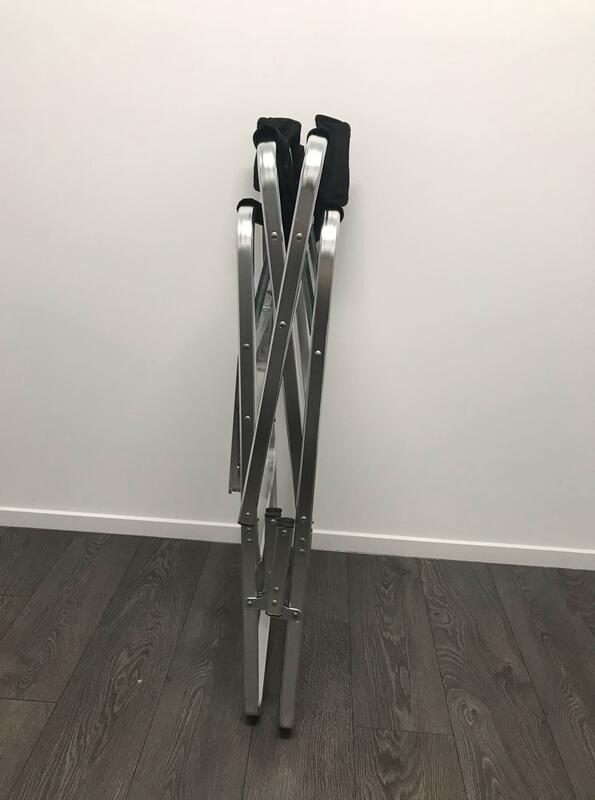 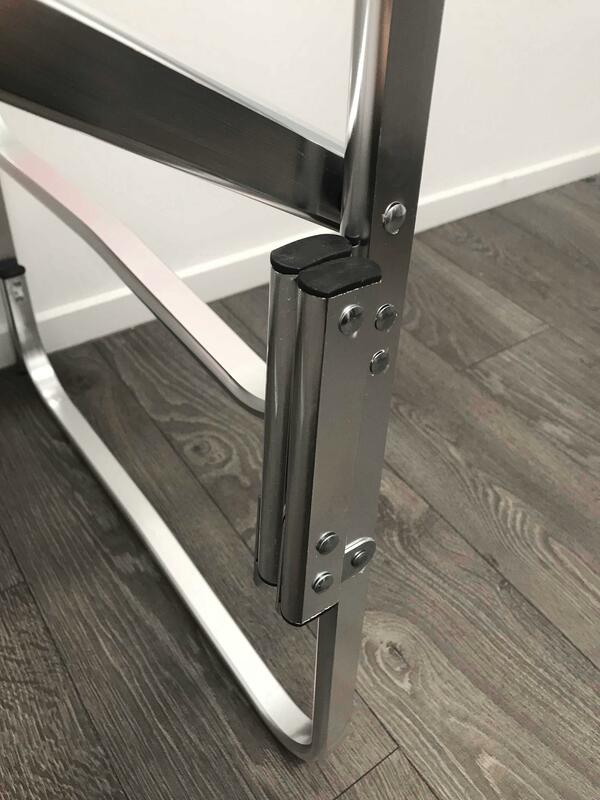 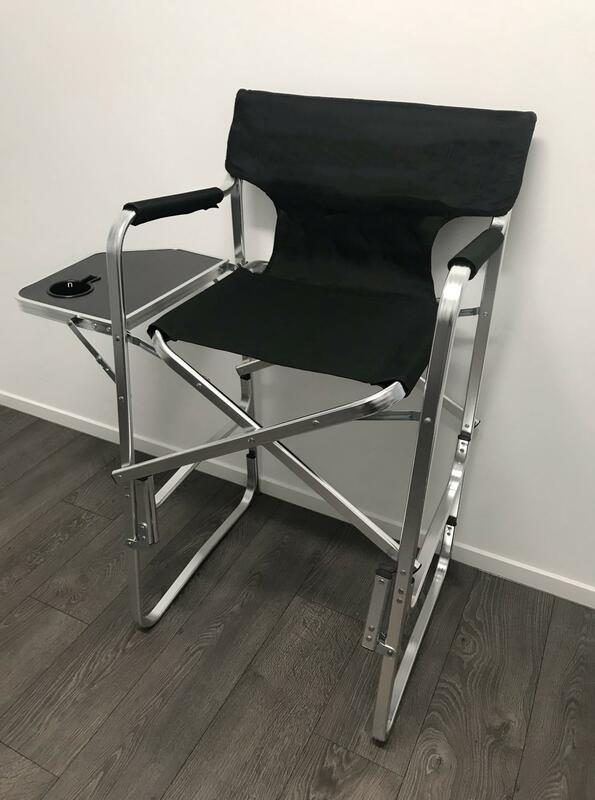 This extra strong folding aluminium chair is ideal for makeup artists/face painters etc... 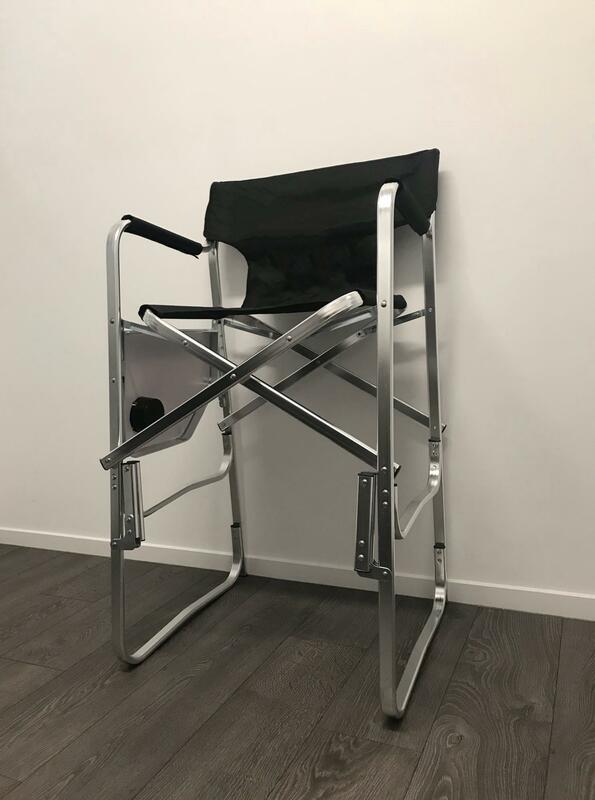 Constructed in high grade aluminium, it is light and easy to carry. 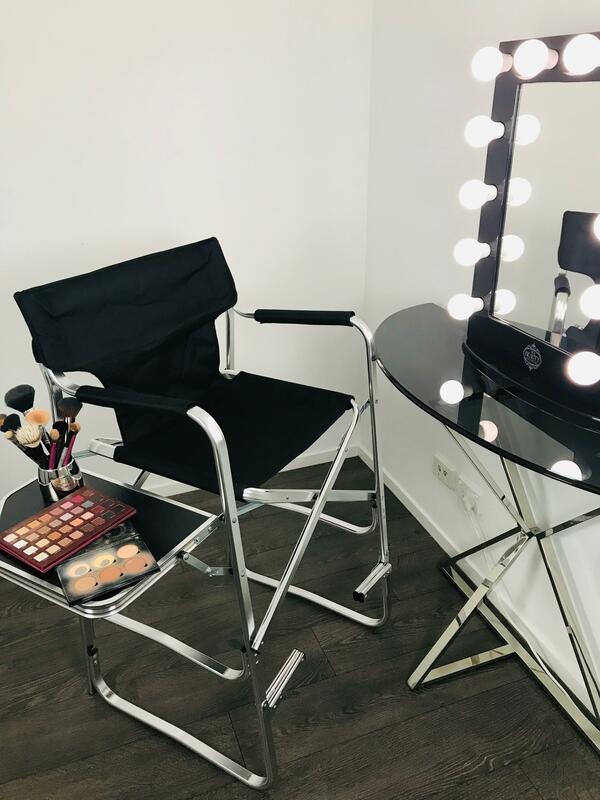 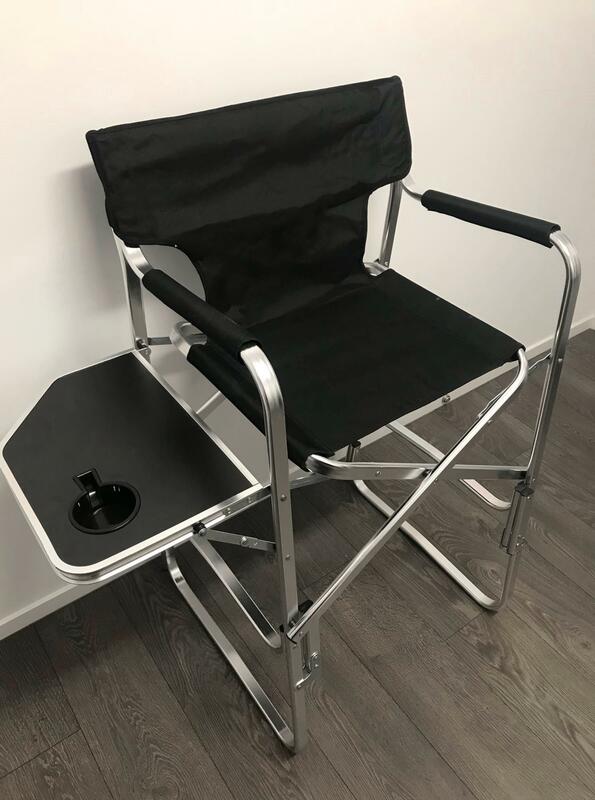 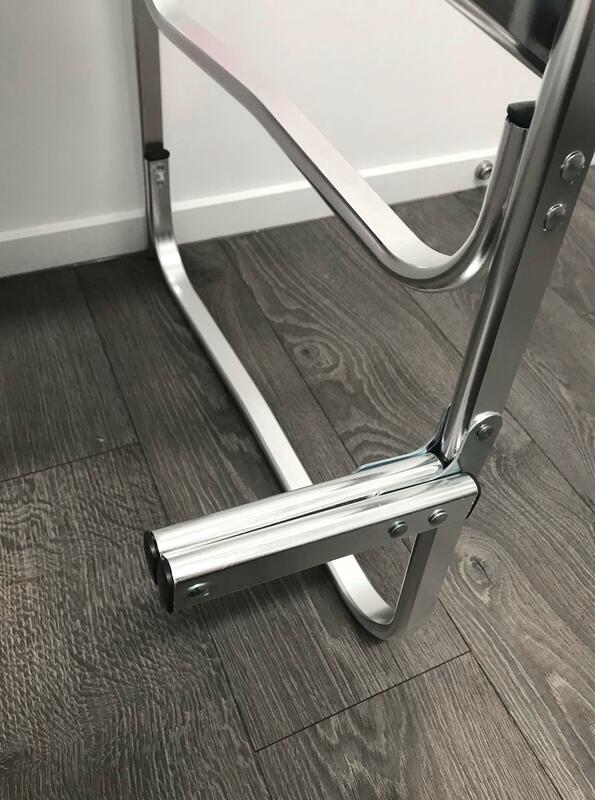 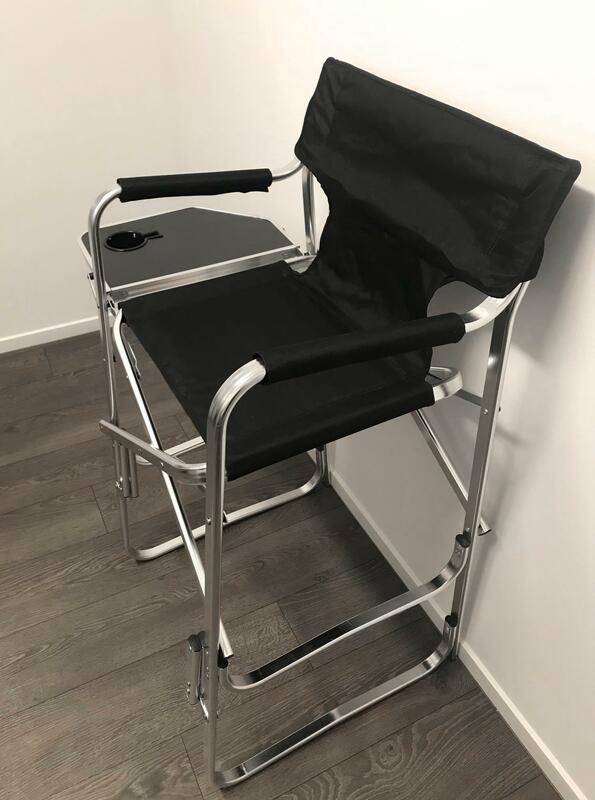 This makeup chair is designed to be easily folded away for storage or to fit in a car. 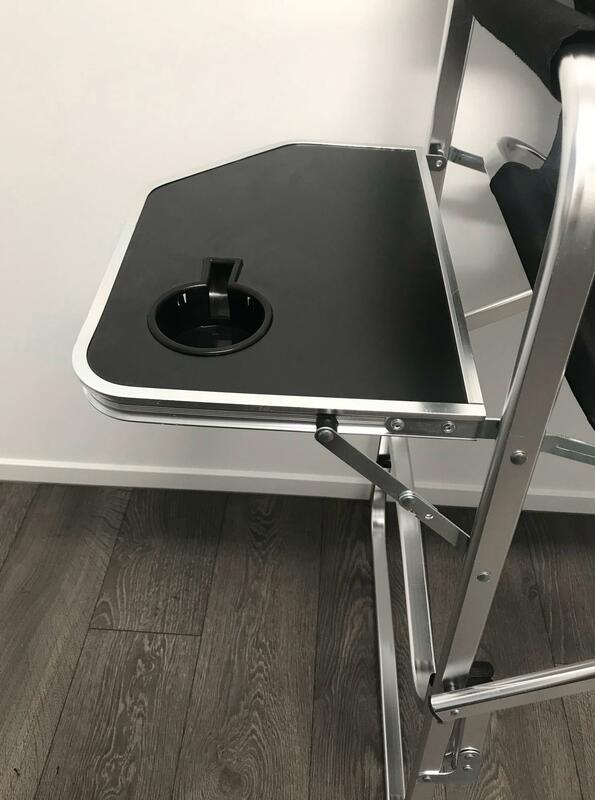 It also includes a fold away side table with brush holder/mug holder.